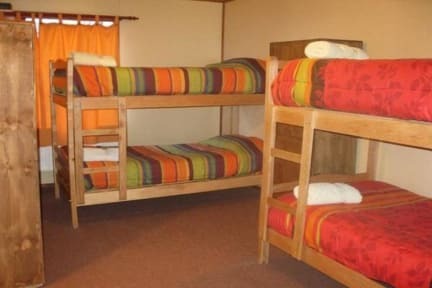 A very nice and clean hostel. 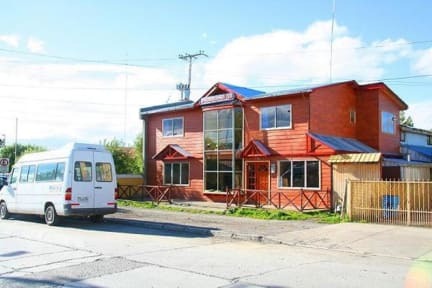 It's nearby the centre of Puerto Natales. Staff is helpfull and English speaking. They can help you with booking trips to Perito Moreno and Torres del Paine. Doubleroom was big with a nice bathroom. We had a delay with the Navimag ferry from Puerto Montt and showed up a day later. We only had to pay our deposit for this missed day and not the full amount of money, which is really nice. We enjoyed our stay in this hostal. De breakfast with fresh juice is really nice. Rooms are small and simpel, but OK. Staff is helpfull and friendly. It's not a super cosy hostel, but i would recommend it.